Everyone can finally relax! I think I've settled on an order for my Top 10 films of 2012. There are only two certainties that can be said for the year that was 2012 in film: For every fan of one film there was at least one detractor and it was, on the whole, the best year we've seen in a very long time. For me, there were more hits than misses, leading to a messy, eraser and scribble filled clash with my inner voice as to which should make the final Top 10 slots. I hate leaving things out that deserve attention though. For the next 10 days or so (hopefully) there'll be a new review of my Top 10 films in ascending order (aka starting with 10) but to kick things off, I figured I would put up an overview of the year that was, beginning with the movies that made the list of great films of the year, just not my personal 10 picks. 20. 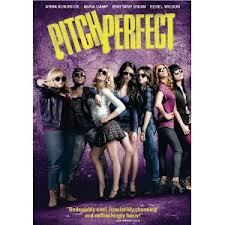 Pitch Perfect -Alright, sure, there were more dramatic movies out there this year (Beasts of the Southern Wild, for instance) or even technically BETTER movies released (most of which will make up the following list) but this one is just fun. It's ridiculous and predictable, but also, for me, strangely satisfying. I love the A-Capella "sport" setting, the Breakfast Club references, the musical arrangements. It just works for me. I'm not sorry I didn't see it in the theater, I don't necessarily think there was anything visually worthy of a theater ticket, but I will be buying it on Blu-Ray. It will join that distinguished pantheon of movies that I can watch every night for two weeks straight and not get enough of, when I'm in that kind of obsessive mood I sometimes get into. It's fluff, but it's more along the lines of a Cadbury Creme Egg than generic stale Peeps. 19. 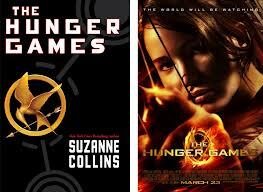 The Hunger Games - I loved the books, I went to the midnight showing (no lie) and the movie was NOT a disappointment. I thought it was a faithful adaptation of the book and yet another vehicle for Jennifer Lawrence to prove her versatility as an actor. The costumes and sets are impressive and with standout performances from all of the actors, especially Woody Harrelson, it serves as the perfect starting point for what is poised to be another great adaptation of "Young Adult" novels. Also, I just think Katniss is a better character than about 74% of female characters in "YA", so the more she can be seen as a role model, the better. 17. Prometheus - If you ever want to study how hype and cult fandom can kill the creative process, watch this movie. If this movie had come out in 1991 people wouldn't know what to do with themselves for all of their excitement. 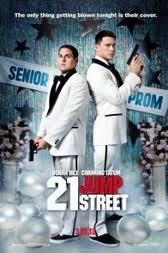 However, the expectations placed on this movie, from the beginning, were nearly insurmountable. I myself have some issues with the inability to follow through some of the plot lines. I think it was a case of just too many cooks in the kitchen. Still, it is a visual marvel and contains, hands down, the most frightening scene I've watched in the theaters in a very long time. Ridley Scott is still masterful with confined spaces and claustrophobic fear but the scope of this film, on every level was just so huge that I think some of the focus got lost along the way. Still you should own the Blu-Ray Collector's edition for the Making-Of featurettes. 16. Lincoln - Before you ask, yes, I do realize the blasphemy that I'm about to commit. I'm prepared for any backlash there may be. 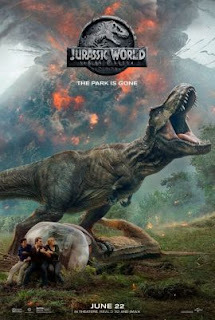 This was the Spielberg movie I thought I had been looking forward to for the last 10 years. I remember reading the first reports that he was doing a Lincoln movie right after he gained the rights to Doris Kearns' book Team of Rivals, and was looking to cast Liam Neeson. I was beyond excited. And then time dragged on, and on...and on. 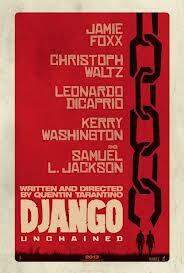 Neeson was replaced with Daniel Day-Lewis and finally the trailer was released and I thought...."oh...ok". I'm not entirely certain why, and I know that I'm in the minority as I write this, but this was the first time that I felt that maybe Spielberg is just...tired. I mean don't get me wrong, the cinematography is amazing and Kushner's screenplay is what you'd expect, but there was just something missing for me. I still can't put my finger on it, but I just know that the re-watch value for me on this one will be lower than many of my favorite director's other works. 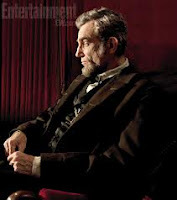 I also am, generally, not a fan of Oscar bait and Daniel Day-Lewis as Lincoln feels about as exciting as Meryl Streep in Iron Lady, which I didn't even see because I knew she'd win the Oscar whether or not I paid for a ticket. 15. 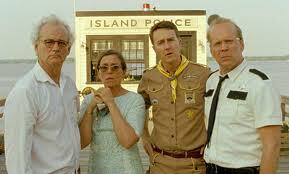 Moonrise Kingdom - Oh Wes Anderson, I do love you. 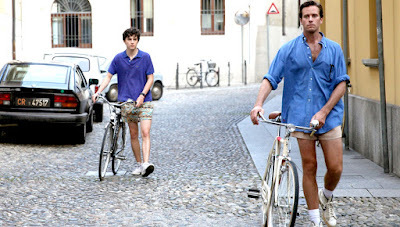 In any other year, this sweet coming-of-age tale, directed as only the king of cool throwback hipster can do, would have been a solid 6 or 7. But for a year that contained releases from most of my favorite directors, it was always going to be a tough go round. With outstanding performances from Bruce Willis and Edward Norton (who should both be in every Wes Anderson movie from now on, in my opinion) it's a set and costume designers dream. With every movie that he does it becomes clear that this is Wes Anderson's world and we're just living in it. I'm alright with that as long as it means more deep album cuts from obscure French artists and visual perfection that previously had only been achieved by dollhouse designers. 14. Frankenweenie - I held off on seeing this in theaters. I thought it was just happenstance, but the more I think about it, maybe it was a conscious decision. Earlier this year, I had to let go of Chip, the 18 year old Bichon Frise who'd wormed his fluffy self into my heart when I first saw him when I was 11. It was awful. I knew what the movie was about and was positive that even as an adult, I would sob my way through more of this movie than any human should in a theater. It turns out, I shouldn't have worried. 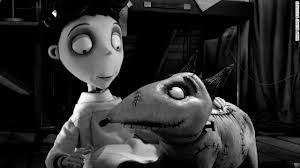 Equal parts touching and hilarious, Frankenweenie may very well be the ultimate Tim Burton movie, with quirks and homages to classic monsters abounding. It is simply, a joy to watch. 13. 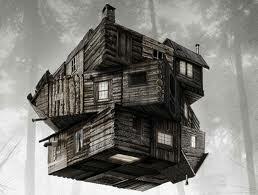 The Cabin In The Woods -I saw this movie as part of my birthday weekend, and it was, indeed a treat for me. I'm always a fan of Joss Whedon, so a movie from his friend, some may say protege, Drew Goddard was more than an acceptable alternative as I awaited the release of The Avengers in May. I'm not a huge fan of the horror genre, but I loved the storyline behind this one, and I feel like this is the horror movie for people who don't like horror movies. It's smart and funny and sometimes just weird, but if you go with it, I think it might be one of those movies that you find you can't stop thinking about. 12. The Hobbit- We all knew what we were in for here, right? 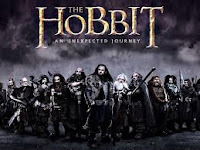 I mean even if you haven't spent the equivalent of 48 hours in a theater seeing the previous (or following, depending on your personal chronological preference) three Lord Of The Rings movies, I'm pretty sure, as long as YOU haven't been living in a Hobbit hole, the mystery of this film was gone right around the time they announced that Peter Jackson would be making it instead of Guillermo Del Toro. Still, it is indeed a spectacle. I made the mistake of seeing it in the 48 fps. I think that tarnished it a bit for me. All in all though, it delivered on what films fan wanted, but, for me, didn't bring anything brand new to the table.